As the owner of a local pet care company I am writing to remind readers that bonfire night is nearly upon us, and as such, would ask people to think about how they will look after their pets, for whom the loud pops, bangs and whizzes can be stressful. So we’ve gathered together tips as to how to keep pets safe and calm. Cats can be timid creatures at the best of times and fireworks can really scare them. Add in their regular nocturnal activities, and you have a potentially dangerous situation, so keep your cat indoors after dark and provide a litter tray if he/she is used to going outdoors. However, be aware that shutting a cat indoors, when it normally comes and goes as it pleases, will be stressful in itself, particularly in multi-cat households. Frightened cats like somewhere safe to hide, so ensure that they get under a bed, on top of a wardrobe, inside an igloo cat bed or in a cardboard box etc. Also, try to keep all doors and windows shut, with curtains closed, TV and music on quietly, to reduce noise and light flashes and the chance of them escaping. When it comes to dogs, make sure you are back from your walk before it gets dark and the bangs start. Shut all doors and windows, a frightened dog running around on the road outside could cause a terrible accident. As with cats, make sure their microchips are up to date. Again, make a den for your dog to hide in if they want to. Set this up before if necessary, to get them used to it. Following the feline advice, make sure curtains are drawn. Horses can get just as scared of fireworks as cats and dogs, so have a think about how you are going to get your ponies through the firework season. Speak to people who live close to your horse’s field and find out if they are planning a fireworks party. Ask them not to use Chinese lanterns which have been known to cause horrendous burns to the animals they land on while alight, not to mention the danger to any livestock’s intestines if they eat the wire as it lays in the grass the next day. Bring your horse into a stable, where it will be safe. Also, re-visit your fire safety drill in case hay/straw catches fire from a rogue firework or Chinese lantern, and in the morning, check your horse’s field for debris/fireworks. As for rabbits and guinea pigs, if possible, bring them inside, into a garage or the house. Consider draping a duvet/blanket over the cage to muffle the noise. If you are worried talk to your vet. 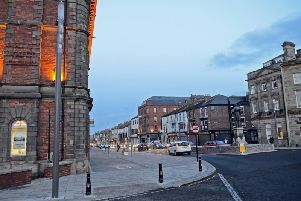 Petpals Hartlepool and East Durham.